Well, it's been a while! It's been over two months since I last posted a recipe! I can't actually believe were in June already! I have been so busy this year I never seem to sit down, I've taken on the second half of my allotment which hadn't been used for years, and I mean years. It was full of couch grass and wild raspberries and so many brambles, its taken an age just to clear half of it but it is now done and potatoes are working the soil as we speak. As well as taking on a much larger plot (double in size) I have also gone back to college to become a qualified aromatherapist and boy did I not realise how much work was involved before I started! Don't get me wrong I'm enjoying it immensely but with working full time, taking on a larger allotment and going back to college something had to give. Unfortunately that was my blog! 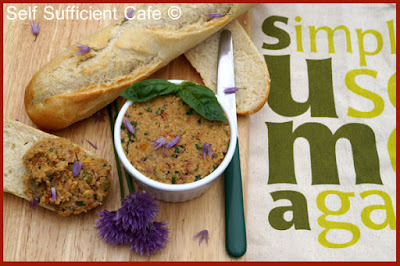 I'm still creating recipes (a girls gotta eat - right) but I just don't have the time to photograph, weigh all the ingredients and write a blog post - sorry. I'm hoping that over the next couple of months as I complete my case studies, write the last 4 assignments and do my final exam I will be able to get back into blogging and sharing my recipes with you. I'll also share some of my aromatherapy blends with you too. Anyway on with the recipe. One thing I will find time for is Suma Wholefoods I love being part of their Suma Bloggers Network. 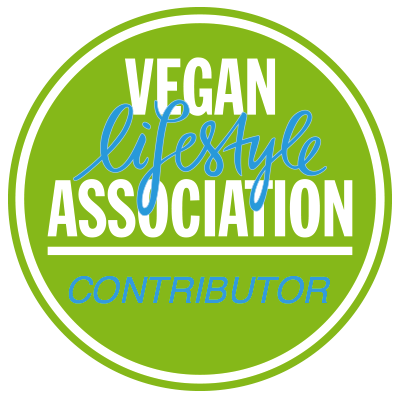 There is a network of 11 bloggers currently and every other month we receive a selection of complimentary products to create a recipe and share on our blogs. To carry on the theme of my last few posts and the International Year of Pulses (IYP) the recipe I'm sharing with you today is made with chickpeas. I find chickpeas extremely versatile and there is never a day you won't find either a tin of chickpeas, a bag of dried chickpeas in my cupboard. 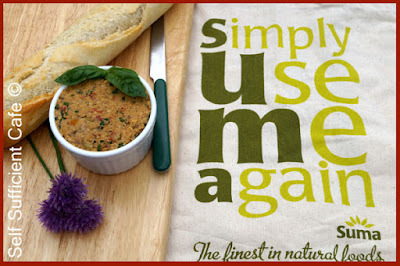 They are great to use for a last minute meal whether that is houmous or used in curries, chillies and stews. 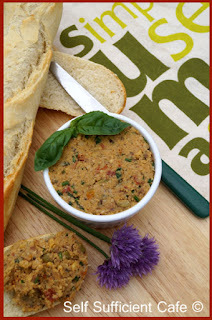 This recipe uses them as a base to the pate and adds flavours of the Mediterranean. A perfect pate to take on a picnic, eating outside whilst soaking up the sun and enjoying the taste of the Mediterranean!